The estimated 304 daily visitors, each view 1.40 pages on average. 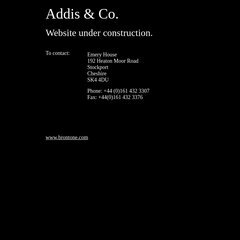 A-addis.co.uk's server IP number is 82.71.204.15. It has 2 DNS records, ns1.zen.co.uk, and ns0.zen.co.uk. Zen Internet Ltd (England, Lancashire) is the location of the Apache server. PING www. (82.71.204.15) 56(84) bytes of data. Website load time is 290 milliseconds, slower than 98% of other measured websites. As well, a ping to the server is timed at 107 ms.